When building or remodeling commercial property, you need a good interior design firm in Miami to help handle the project. Bringing interior designers in at the start of the project can help things go a lot smoother and they can help to keep everything on schedule. However, choosing the best commercial interior design firm for the job can be difficult. The first step is to do your research and look for a company that has a good reputation for getting the job done the right way. You then need to narrow down the search by looking at the qualifications and credentials of the designers at each firm. The problem is that you may find several companies available that have experienced designers qualified to handle your project. So, how do you know which one to choose? Which interior design firm will provide you with the best service? The following information can help answer those questions. When searching for a designing firm for commercial property, experience is important. However, you don’t just need them to have experience in interior design, you need them to be experienced working with the type of project you have. In other words, they should be familiar with your industry and understand the different challenges and needs your company faces. For example, a designer that specializes in designing hotel rooms would have a difficult time meeting the needs of a restaurant. 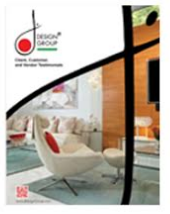 You will be working close with the interior design firm that you choose throughout the duration of the project. If the designers you work with have bad attitudes or simply don’t listen, you’re going to run into problems. Yes, it’s true they are the professionals but that doesn’t mean that you can’t implement a few of your own ideas into the design. You need an open line of communication where your opinions and concerns are heard and addressed appropriately. If your idea won’t work, that’s fine but you need to know why and work together to find a suitable substitute that you’re happy with. You also need them to treat you with respect, answer your questions with a smile and you need someone you can depend on to keep you updated on the details of the project. This way, you’ll always know how things are going. If there is a problem, you’ll know right away so you can take care of it to help ensure the project stays on schedule. Do you trust the commercial interior design firm you’re considering using? If not, then keep looking. There will be times that you have to allow them to make decisions for you. The designers need to have some freedom to be creative and if you don’t trust them to have your best interest at heart, then everyone is going to be stressed out and worried throughout the entire project. In addition, you’ll be second-guessing everything they say and do. Not only is that going to take up a lot of your time but it’s also going to make it difficult for the designers to do their job. When choosing a commercial interior design firm for your next project, use these tips to help you find the best match for your needs.